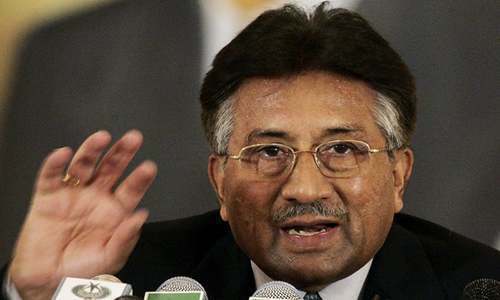 ISLAMABAD: The special court seized with the high treason case would resume the stalled trial of former military dictator retired General Pervez Musharraf on Aug 20. The three-judge special court comprises Lahore High Court (LHC) Chief Justice Justice Yawar Ali, Balochistan High Court (BHC) Chief Justice-designate Justice Tahira Safdar and Justice Nazar Akbar of the Sindh High Court (SHC). The trial against Gen Musharraf has been at a standstill since March 2016 when the ex-president left the country following the removal of his name from the Exit Control List (ECL). The previous government of the Pakistan Muslim League-Nawaz (PML-N) lodged the complaint against Gen Musharraf in December 2013 for holding the Constitution in abeyance on November 3, 2007. It may be mentioned that head of prosecution in the treason case Mohammad Akram Sheikh had tendered resignation on July 30, saying that it was up to the new government of the Pakistan Tehreek-i-Insaf (PTI) to engage a lawyer of their choice to proceed in this case. The special court indicted Gen Musharraf for high treason in March 2014. The prosecution laid its evidence by September the same year. However, thereafter, the special court could not proceed against the ex-dictator as the IHC issued a stay order and then after the superior courts removed his name from the ECL and Gen Musharraf flew abroad. The special court declared the accused a proclaimed offender and ordered confiscation of his properties which could not be attached due to the litigation in the courts of law. 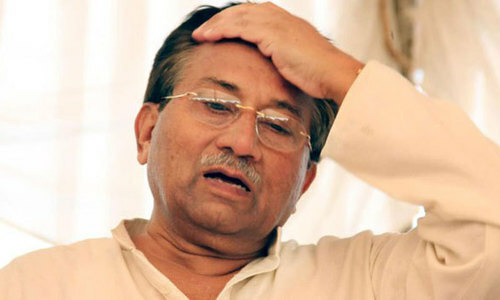 Earlier this year, the special court resumed proceedings in the treason case and ordered to block Gen Musharraf’s computerised national identity card and passport. The previous government in May executed the court orders and blocked his CNIC and passport. However, Chief Justice of Pakistan Mian Saqib Nisar — during the hearing of a case related to disqualification of Gen Musharraf — allowed him to return. What an Epathy! Mr. Musharraf was a great man, US dollar was 60.00 rps to the dollar. Nawaz Sharif created the dillusion and so did Zardari to get him in courts. He should be totally exonerated. What is known to the people of this country is that irrespective of whatever the outcome of this trial, the ex-general can never be caught or penalized for his actions in the past. Putting shame on him for running out of the country is all we can achieve. So be it. Let's proceed quickly, fairly and reach to a conclusion based on evidence and according to an appropriate law! Don't linger on and make it a political case! Across the board accountability is here my friends. This is all play. Will lead no where. Road cleared for Musharraf to come back to pakistan without any fear. @tariq Compared to Nawaz/Zardar and other looters Musharraf is Saint. I agree with everything you have said. Great Visionary leader. Illusion. Nothing will happen. Eye wash.